We provide turnkey services including: general contracting, site development, civil work, fabrication, structural upgrades, plumb & tension (sag or intercept method), antenna/ line installation, and 24/7/365 emergency services. Any project can be quoted as a turnkey solution. Whether you are dealing with broadcast HDTV, AM/FM broadcast radio, cellular, or microwave, our experience will yield positive results for you. RIO Steel & Tower can provide the following services for guyed towers, self-supported towers, monopoles, building roof-tops, or water tanks. RIO can provide detailed inspections and mappings of any tower structure. RIO is your total turnkey solution for site installations. Our in-house crews are experienced with many types of civil projects including coring, excavations, caissons and anchor rods. RIO has the equipment and experience to provide Broadcast Spectrum Repacking installations to maintain compliance with the ever changing Federal regulations. RIO is a qualified company ready to assist broadcasters in meeting the FCC Auction and repack deadline. Our AutoCad drawings provide accurate, customized records essential to every project. In addition, they serve as a historic reference for future upgrades. 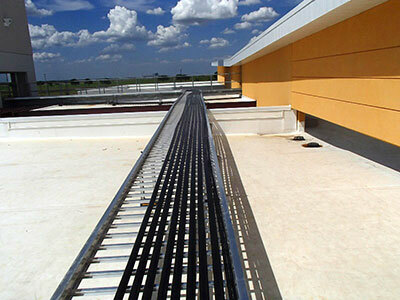 Rooftop installations require special care and coordination to ensure necessary precautions for equipment and buildings. 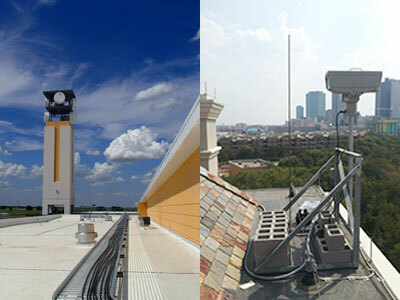 Our trusted crews have been selected not only to install antennas on national historic landmarks, but also on high-dollar state-of-the-art modern architecture. RIO has the ability to provide turnkey service for custom tower fabrication, installation, and modification. We can also provide maintenance for any type of tower, including de-commissioning. 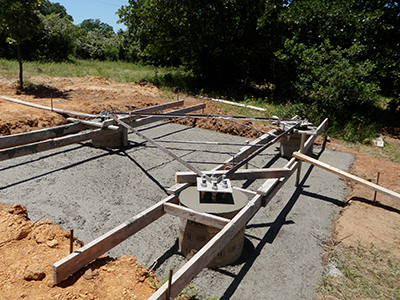 RIO specializes in the fabrication, modification, and installation of custom water tank mounting systems. RIO has over a decade of experience installing rigid and flexible transmission line. 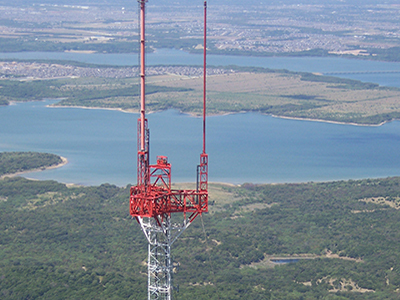 In addition, we install ANY type of antenna from microwave dishes to FM broadcast radio, to broadcast TV. 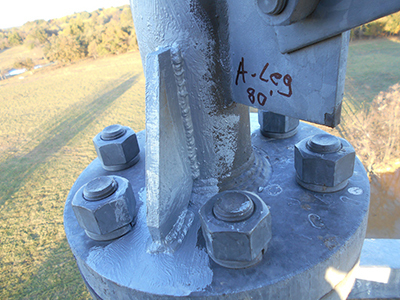 Tower upgrades often require guy wire changes, and accurate readings and adjustments are critical to tower stability. Whether it’s Tension or Intercept method, RIO Tower & Steel's experienced crews are highly competent to handle the complexities of this valuable service. RIO has the capabilities to service all types of lighting systems at any height, and we provide complete nation-wide tower maintenance for all tower structures.